Nokia 6610 is an interesting tool and I'm happy it really exists. When can I get one in Romania and which is the average price ? Please, answer me to my email. the phone will cost approx about $999. it is a really good phone and you's will enjoy it.it has great features. Same old box from Nokia....same style...higher price!!! Great phone !!! Price in Singapore ??? 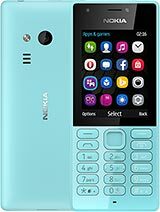 I love it about Nokia 6610 and about the model :-) with full color, so i want to know when that Nokia 6610 will avaliable in Indonesia i means at when? The best thing you can lay your hands on!! Good phone? When is it comming out???? THIS is my next phone! who cares about bluetooth and a camera... this phone rocks! why all the phone never having the price? I don't wanne know how much it will cost.